Your library card is very valuable! 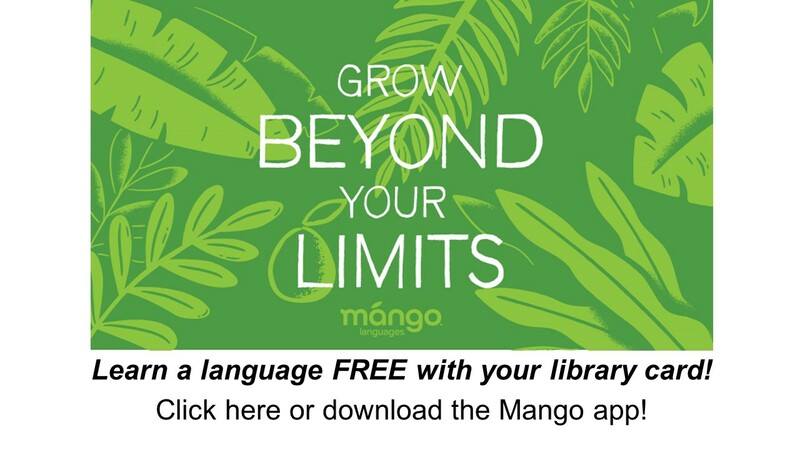 Free books and audio, free access to Consumer Reports, and now free access to Mango Languages! Just click the links below!